CSA farming is all in the timing. You have to know how long each different vegetable takes to grow, from a tiny seed started in the greenhouse to harvest day. 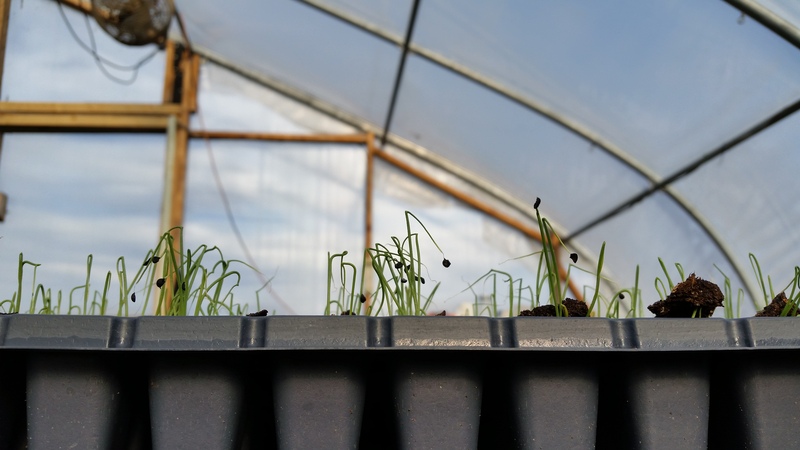 You have to have an idea of what you want to harvest for every week of distribution and work backwards, making sure the seedlings are started at the right moment, the soil is ready in time to plant, and that everything is taken care of up to that harvest point. 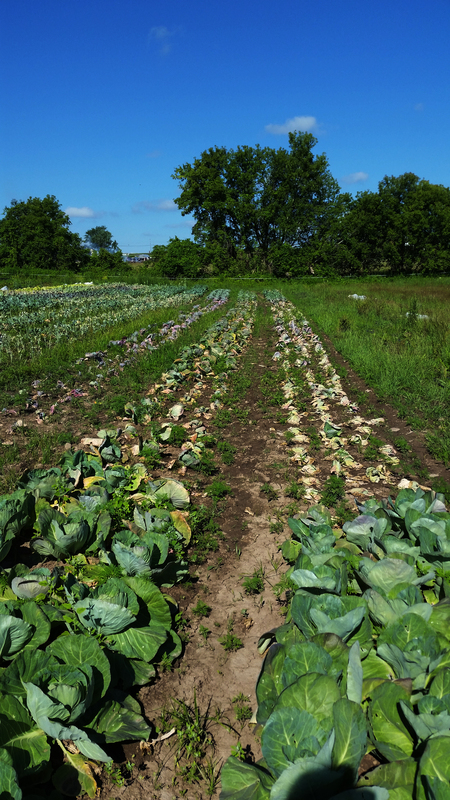 Many vegetables are planted in succession, like 2 beds of lettuce every two week, so that there is the appropriate amount for each CSA day; about two heads per share throughout the season. It’s quite different from a market farm, where you can plant all of one crop at the same time, harvest and sell. If the crop is a little delayed, no problem, you just sell it later. Having a solid plan is critical for a CSA operation, but if you have one to follow, everything should work out fine if you follow it. Right? Except nothing is that simple. There are all sorts of wrenches that can get thrown into a plan, making us farmers have to think on our toes and come up with alternate plans. Being a farmer is the ultimate risky business, because you are at the mercy of the greatest uncontrollable, unpredictable, unknowable force known to man: the weather. And this spring the weather threw the biggest wrench in the toolbox. I’m talking about that giant socket wrench used on airplanes, and it got tossed right into the middle of the Mud Creek Farm plan. What was the wrench? It was rain. Rain almost every day for a month. 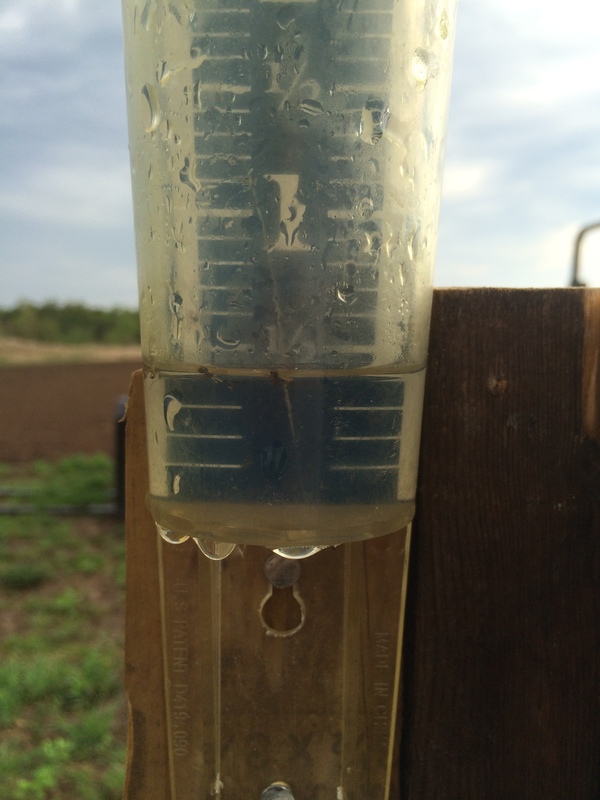 Farmers need rain, but too much is never good. As the old farming saying goes “Too little rain will hurt you, but too much will kill you.” Or, as I like to say, you can always irrigate, but you can’t un-irrigate. That being said, I’ve never seen rain like this. Last year we had a cold, extra wet early spring, and we had early plants that were stunted and small. 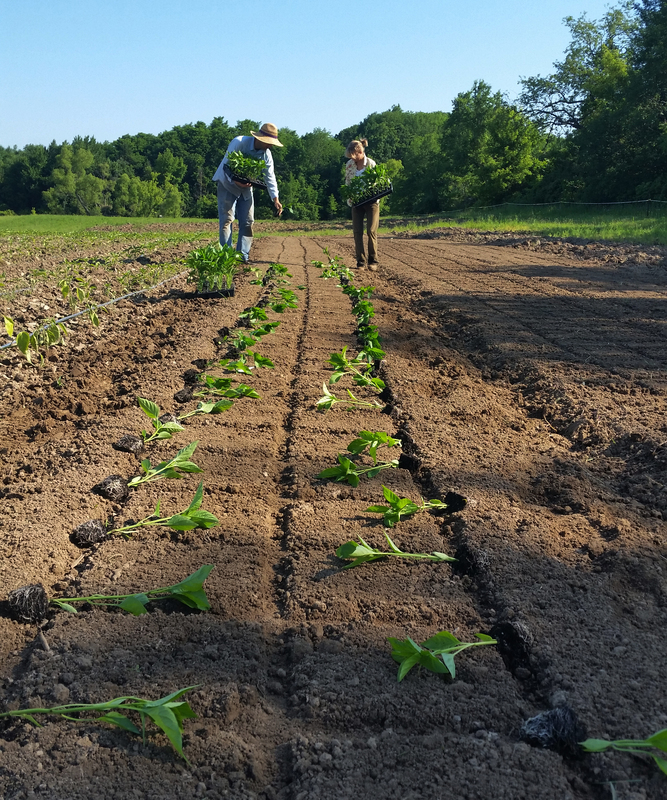 This year it was dry in the early spring, so everything was going according to plan for a while, and all the early plants were put in to beautifully tilled dry beds. Things were looking up. 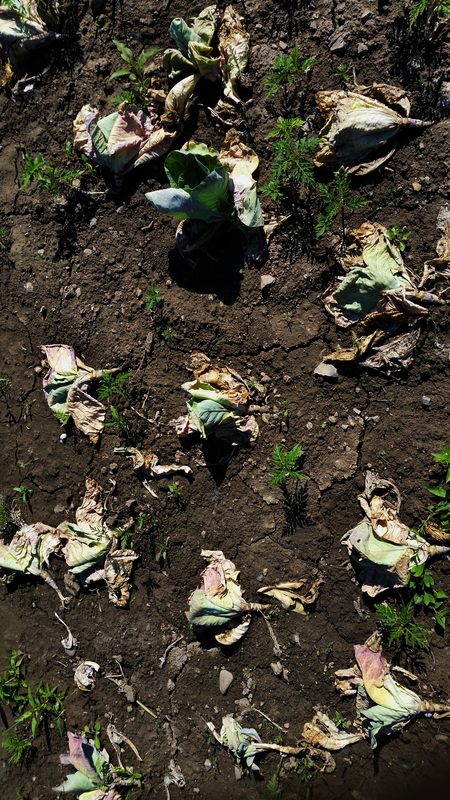 But after weeks of rain, those lovely plants started to rot in the field. They were basically sitting in puddles of water, and the roots weren’t getting any air. What does that mean for the plan? Well, this time of year my members should be feasting on copious amounts of crispy cabbage, sweet beets, spicy arugula, and sugar snap peas. We planted enough of all those crops to fill a sizable share for all our members over the late June and early July weeks. But with the serious rain, more than half of all those crops are dead, and we are getting much less out of them than planned. So my members will be taking home less food for the next few weeks than they are expecting, and I will feel like I’m letting them down, despite the fact that there’s nothing I can do about it. 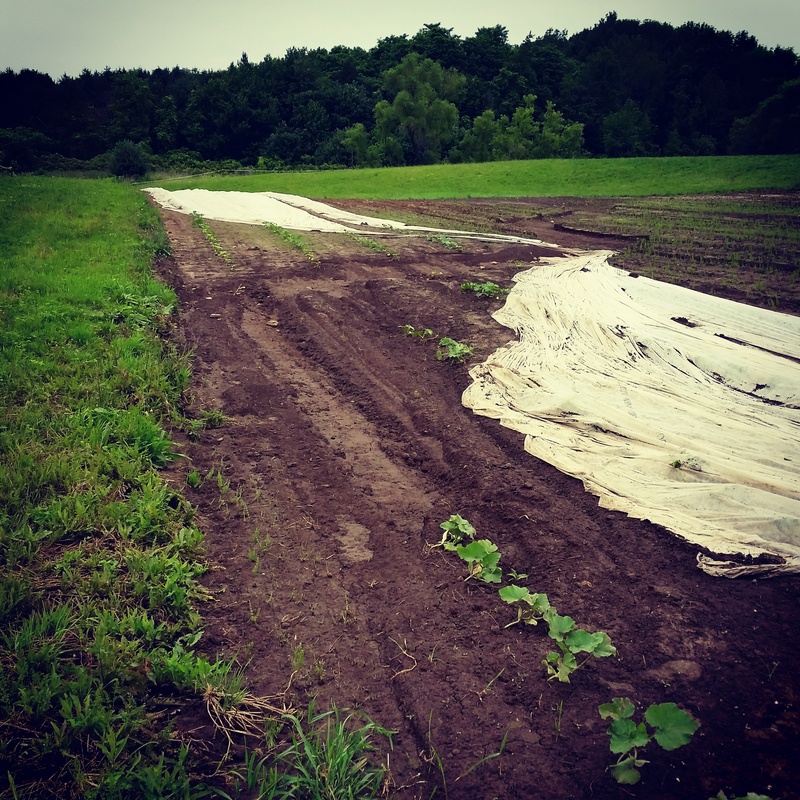 the rain created a river bed through the winter squash field. It’s frustrating to put all that time, money and energy into the seeding, transplanting and weeding only to watch the food rot away before your eyes right before you get to hand it over to your people. The joy in my members’ faces when they see some of their favorite veggies show up on the table for the first time of the season, on when they get to try something they’ve never had before, or when they tell me how much better our lettuce tastes than the stuff from the grocery store; those are the moments I work so hard for. Getting that snatched away by the big wrench from the sky is a serious bummer. Then only thing I can do is to try and keep up with the plan. 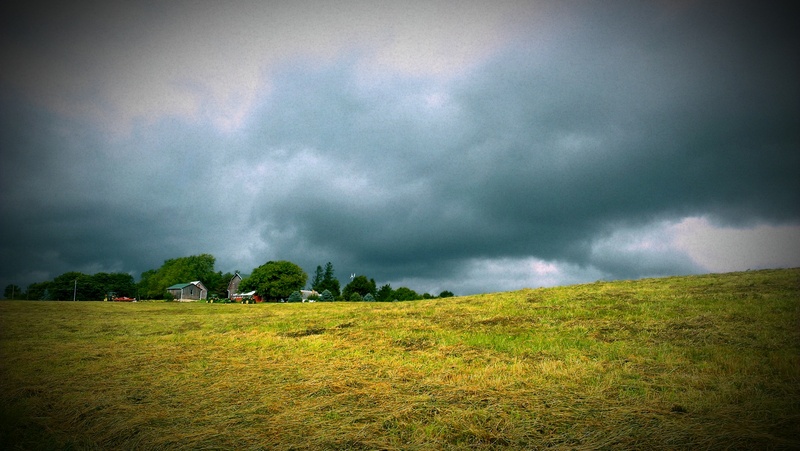 This past week gave us a brief respite from the rain, and the fields dried out enough to drive the tractor out there and till up the soil for the first time in a month. We pulled a marathon week and planted all the things in the greenhouse that were waiting to go in the ground. The melons and cucumbers are already flowering and sending out tendrils, the snapdragons already have buds… all my plants are as eager to get on with the business of growing as I am. And not everything is looking sad out there. The potatoes are almost knee high, the summer squash is starting to blossom, the carrots are small orange fingers peeking out of the mud. The next couple weeks will be a waiting game, with smaller shares, waiting for the next thing to be ready. I just hope I can explain why to my members… and hopefully later in the season, when their bags are full again, it will all seem worth it.